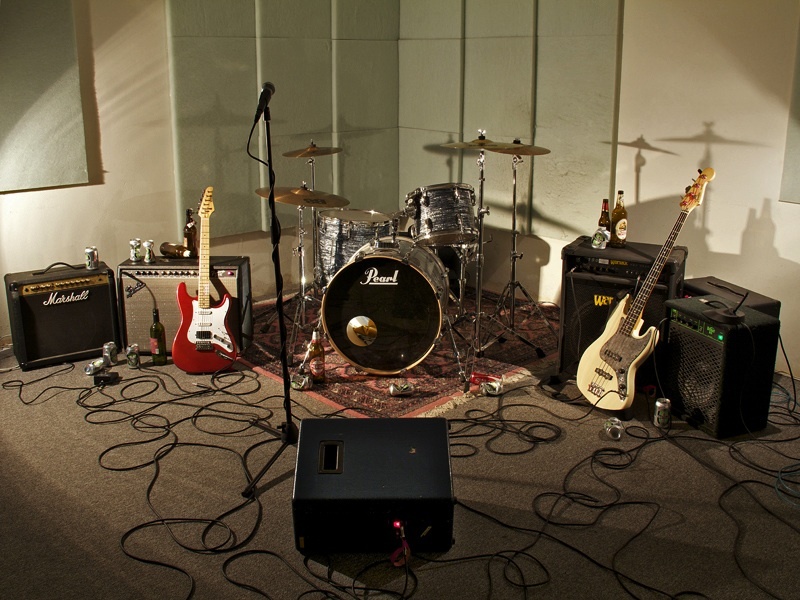 The installation is the result of a process of acoustic space analysis through the physics of musical instruments. 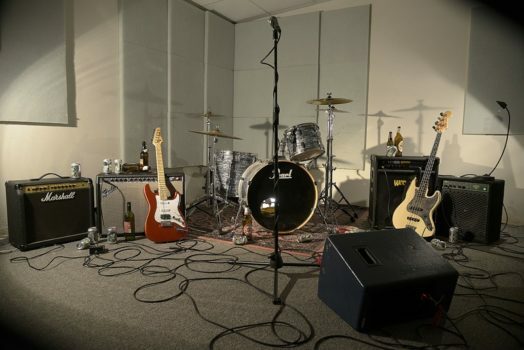 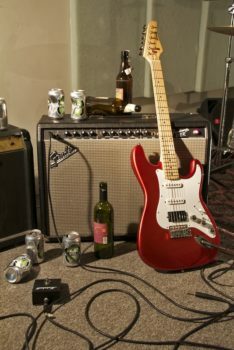 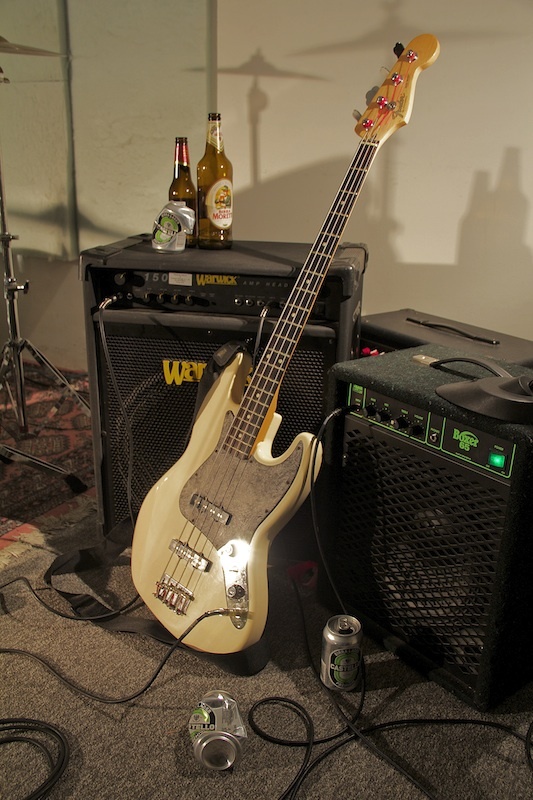 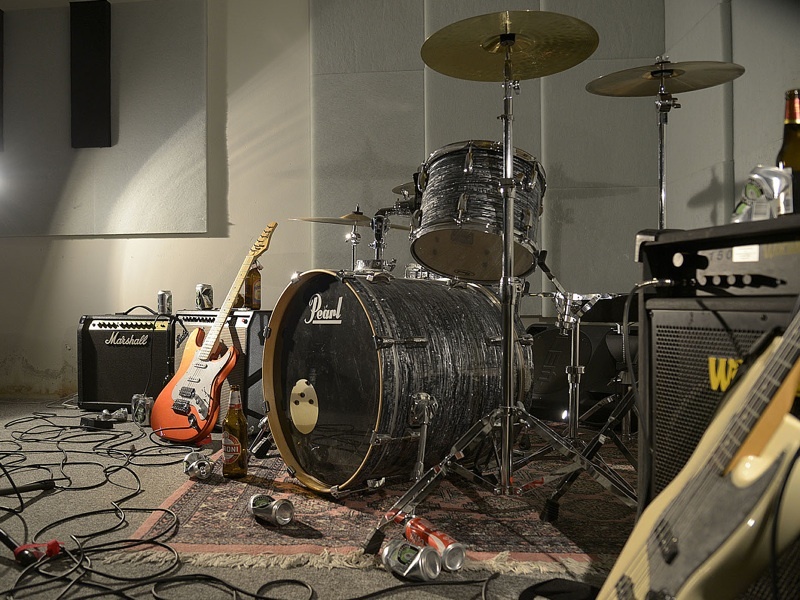 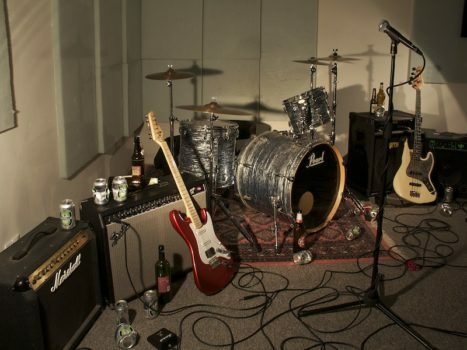 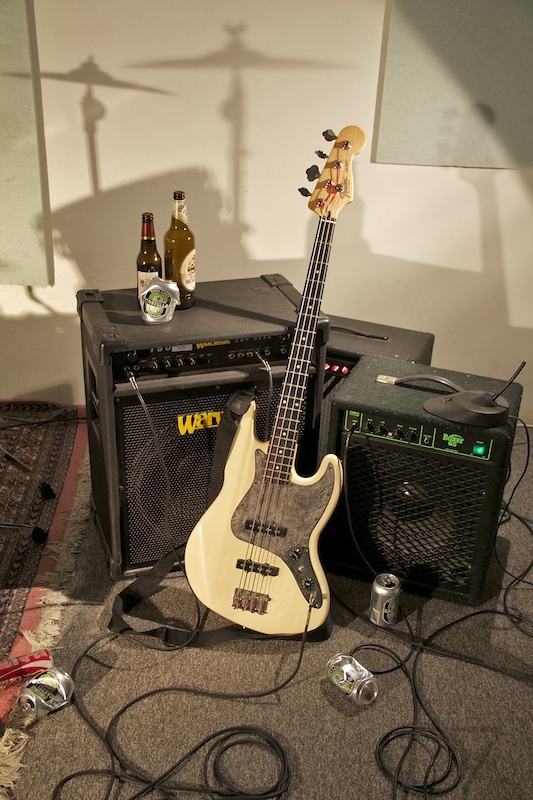 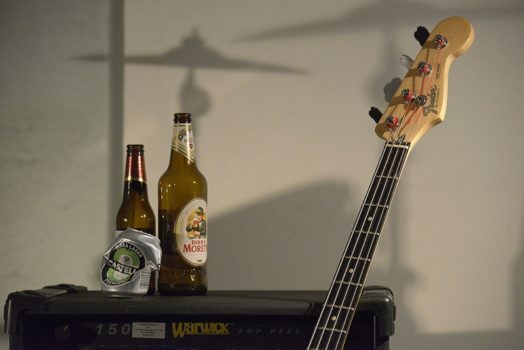 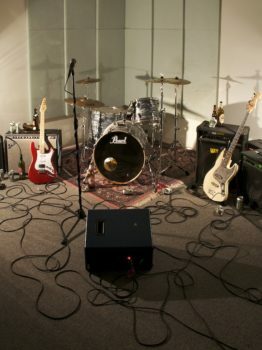 The typical situation of a rehearsal room was recreated in great detail, with causally dropped off instruments; yet whoever played there was not a rock band. A musical composition was created starting off with the audio recording of the resonance of the room: those frequencies excited the guitars generating feedbacks, whose sounds were modulated via computer and analog devices, so that the guitars and amplifiers could produce sounds without the need of performers or to be played by any musicians.